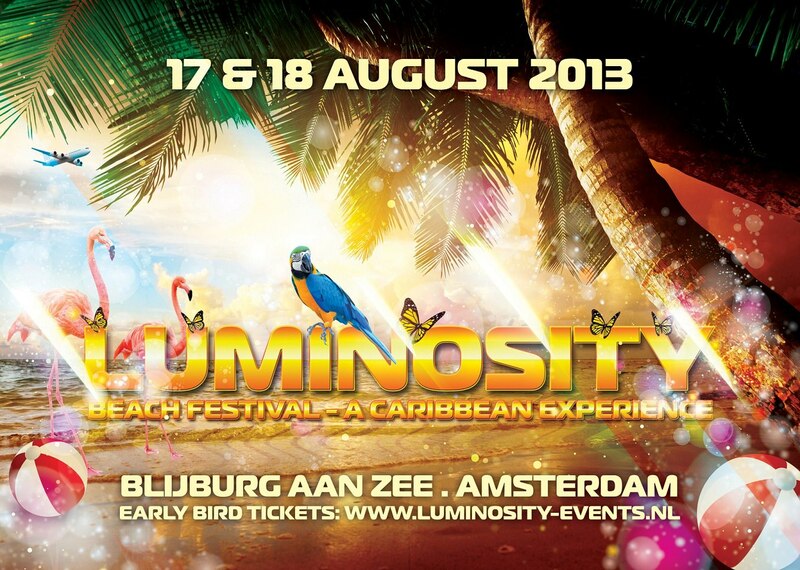 Not sure where to stay during Luminosity Beach Festival 2013?! Then check out Hotels.nl Hotel Guide to find the best accommodations for your trip to Amsterdam! Flying in from outside of The Netherlands? We highly recommend you arrive at Amsterdam Airport Schiphol. The Netherlands main airport is the fourth busiest in Europe and in recent years, well over half of Europe’s incoming and departing travelers have used Schiphol. The airport is a fantastic spot for shopping and it also houses a train station which is very simple to navigate with friendly associates who are willing to assist you to get you where you need to go. You can hop on one at the Bijlmer/Arena Station and take the short ride to Blijburg aan Zee. Busses depart from Bijlmer/Arena every 10 minutes. If you wish to arrive by train, the location of this year’s event is located just a short five-minute walk from the IJburg TRAM Station. TRAM Train 26A departs from Amsterdam Centraal Station no more than ten minutes apart and arrives at IJburg in just 20 minutes or less. TRAM Train 26B will take you back to Amsterdam Centraal. These trains also depart within 10 minutes of one another. Please note that the last TRAM Train 26B departs IJburg to return to Amsterdam Centraal Station at 00:20. For those of you in the City of Amsterdam who prefer a leisurely bicycle ride, it will take you approximately 30 minutes to arrive at Blijburg aan Zee. Information concerning possible shuttle busses will be announced soon. We are currently considering shuttle busses between the city center/CS and possible accommodations. - Is Center Parcs Zandvoort near? Yes it is possible to stay at Center Parcs Zandvoort and travel by public transport to the beach festival. Please check http://9292.nl/enfor more travel information. - Will you be working with volunteers? Yes, in April/May we will announce how and where you can send you volunteer application. - Will there be a shuttle bus between the Amsterdam CS and the Festival site? Yes, details will soon be announced. - Will there be day tickets available to purchase? A small quantity yes. On many requests we have decided to go back to two area's which most likely effects in a reduced capacity. Chances are there that the event will get sold out by people who will be visiting the whole weekend, cause of this only a limited number of day tickets will be available. If in the end there is capacity left then we will make extra day tickets available.